Beginning tomorrow (Tuesday, 11/19) through Friday (11/22), the Valley Brook Ave. approach to DeKorte Park and Disposal Road will undergo significant repairs as the road is excavated, milled and paved. If you are visiting DeKorte Park or Disposal Road, please use the Schuyler Avenue/Disposal Road alternate route for the remainder of this week. If you must use Valley Brook, PLEASE proceed with caution…..be alert, drive slowly and obey the flagman’s instructions. And be aware that Disposal Road will be busier than usual, so please be alert and drive slowly. Sorry for any inconvenience. 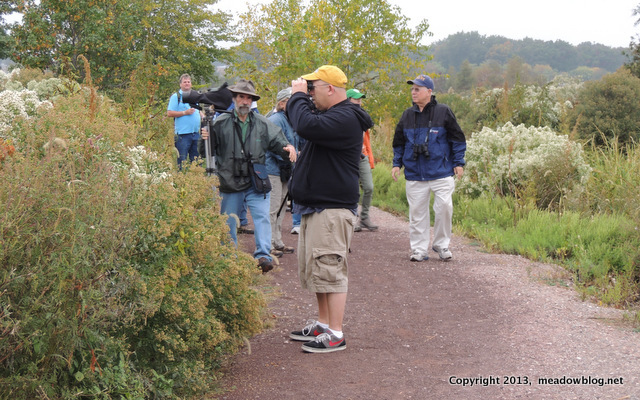 This week’s main event is tomorrow’s Third-Tuesday-of-the-Month walk — at Mill Creek Marsh.